One of the common causes of Raid failure is the failure of a single hard drive in the array. If the array is striped without parity then a normal hard drive data recovery of the failed drive will be required prior to reconstructing the raid array. If the array was configured with parity the array maybe able to be rebuilt buy replacing the failed drive. Rebuilding of the array by replacing the failed drive may lead to corruption or permanent loss of data due to read errors on the other drives or a second failure of one of the other drives. Most Raid Arrays are configured using the same make and model hard drives from the same manufactures lot. When one of these drives fails there is a high probability that one or more of the remaining drives will also fail. When a hard drive fails in a raid array, special software, hardware and knowledge is required to successfully reconstruct your data. 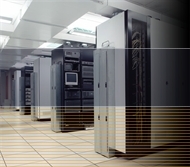 We understand the importance of your electronic data and the need to keep your business network operational. US-Data Recovery- Boston maintains two Facilities. The first is located in the Tampa Bay Metro area and the second in the Washington, D.C. Metro area. Although the majority of our Raid hard drive Data Recovery services are handled at one of our two facilities, via use of overnight Fed-x, UPS, Purolator or DHL, our technicians are available for on site Raid Hard Drive Data Recovery for special need cases. Most Raid Hard Data Recovery cases are completed in 24 to 36 hours of receipt of the drives.